My wife's Ford Escape has been plagued with issues and we are looking for something in a similar size class to replace it. We live on a dirt road with ruts, rocks and mud, sowe need something with good off road manners. We frequently head to the mountains on gravel roads as well. Living in hilly terrain it needs to have ample power to get us around. My personal front-runner is a Subaru Forester, although my wife likes Jeep Compass, Nissan Rogue, and Toyota Rav4. Good list. I'm with you on Forester. We've had 3 Subies (1 Forester), all were great cars. I'd avoid Jeep due to reliablitity issues. RAV4 also good option. Nissan Rogue - meh. Please let us know which car you select& why. Unless you can do a compression check have a good mechanic friend, I wlbe wary of Subaru 2.0/2.5l in your price range. My wife's 2012 sucked down most of my synthetic oil reserves, had cold piston slap, and puffed blue smoke at start up. Rugged I'm sure but very utilitarian for sure. Even adding additional window while closing them caused the motors to slow noticeably. She did have a couple of misfire 0300 codes and the coolant leveled dropped once. But the the symptoms never reaccured but I guess head gasket as they seem like a normal repair on older boxer style engines. My wife's aunts are entering their 2nd, 3-year lease on their Escape's and have not had problems to have them look elsewhere. We had a a 2004 Forester, a 2010 & 2015 Outback, all with the 2.5 engine (but each was a different version). Forester had about 75K & 1st Outback had 40K when sold. Current 2015 has 25K. So no experience with high mileage cars. I changed oil at 10K in Forester & at 6K in OBs (to keep warranty in force). Never had to add oil to any of them, none of them were down even a half quart between changes. That is not to say the excess oil usage isn't real for some cars, but I think it is an exception rather thanthe rule. Unfortunately, you won't know until after a purchase (yes do compression test if buying used). One the other hand, dino oil is $2.50 & synthetic 4.50 a quart. So it having to add a quart or two between changs won't break the bank. I had no other mechanica issues with any of them. The big advantage the Forester has over other cars on your list is full time AWD. The others are front wheel drive until they detect slippage. 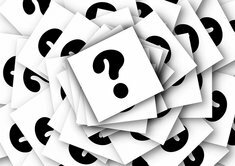 "If a driver has to add a quart of oil once per month, that can mean adding up to 7 to 9 quarts of oil between oil changes. Those costs due to excessive oil consumption can add up because automakers more frequently require synthetic oils that can cost upwards of $9 per quart?in addition to the expense of the routine oil changes." Subaru goes good in the slippery stuff...until you turn the steering wheel. 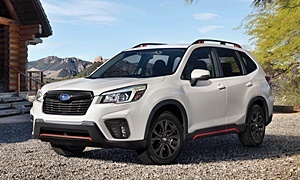 So I've been looking at my options for a Forester and come up with what I think are a few good options, but insight into the different generations would be helpful. My best option is a 2011 with 41k miles for $13,800. This still has the 4spd auto and I think is considered the previous generation. I have also looked into buying certified through the Subaru dealership. Is certified all it's cracked up to be? For like $3-4k more it seems like you can get a new 18 if you don't need all the bells and whistles. The 2011 is the previous gen. I wouldn't get it because the oil consumption issues. It ruins the engine eventually. There have been many owners reporting that they needed an engine replacement or head gasket. This also applies with most Foresters. You also get the old 4-speed auto, which in my opinion is worse than a CVT. I'm not a huge fan of the Forester. Except for off-road ability and visibility, it's usually behind the times compared to its competitors. 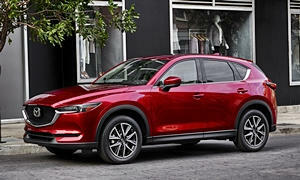 I'd go for the Mazda CX-5, which feels newer and is more fun and reliable. Norm listed many videos in the past showing its AWD system is better than the Subaru's. I still think the Subaru's AWD system is better though. The two most reported problems for the CX-5 are ignition coils and premature brake wear. It has a lot of road noise like the Forester and the ride might be a little rougher, but it will handle better. With the 6-speed auto or manual you will have more control with power. The 2014 added a better more powerful engine that is said to have "transformed" the car. 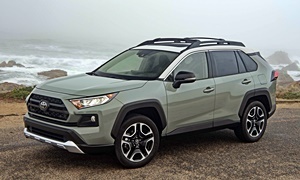 One of the best compact CUVs back then was the RAV4. My mother in law recently bought a 2014 RAV4. She likes how it drives. Easy to see out of and get into. Decent amount of power. Standard backup camera and touchscreen display. Only get the 2013 and newer because those were significantly changed. Less road noise than the Subaru or Mazda. It's the most reliable car on your list. Certified cars are sort of a rip off, but it feels more like getting a new car, but a new car from in your case 2011. They clean the interior (at least from what I've seen) and replace anything that needs replacing including interior plastics and mechanical parts. Sometimes they have extra warranties. They are generally more expensive than private parties. Avoid Jeeps and the Nissan Rogue has poor driving dynamics and is old-feeling, but comfortable. NHTSA has 257 complaints about the 2013 Escape's engine. It was recalled three times, twice for engine fires. There have been 4 crashes, 22 fires, and 5 injuries because of these engine issues. And this is a car that is 4 years old.